Fork Right Farm Life: Fork Right Farm in national spotlight! Fork Right Farm in national spotlight! 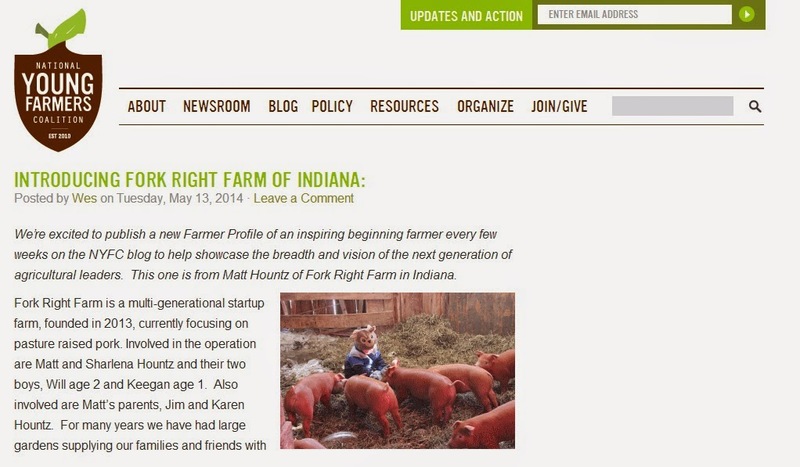 This morning, Fork Right Farm was featured in a new farmer profile on the National Young Farmer’s Coalition (NYFC) Blog. It is a great article that describes the multi-generational component of our farm and our farming philosophy. Matt subscribes to the NYFC newsletter and several weeks back they were seeking guest bloggers. This article happened to be the application that Matt submitted. While he wasn’t selected as a blogger, it was pretty cool to see Fork Right Farm featured.